Today would be the traditional opening day of the general firearms deer season (before they added the extra Saturday). 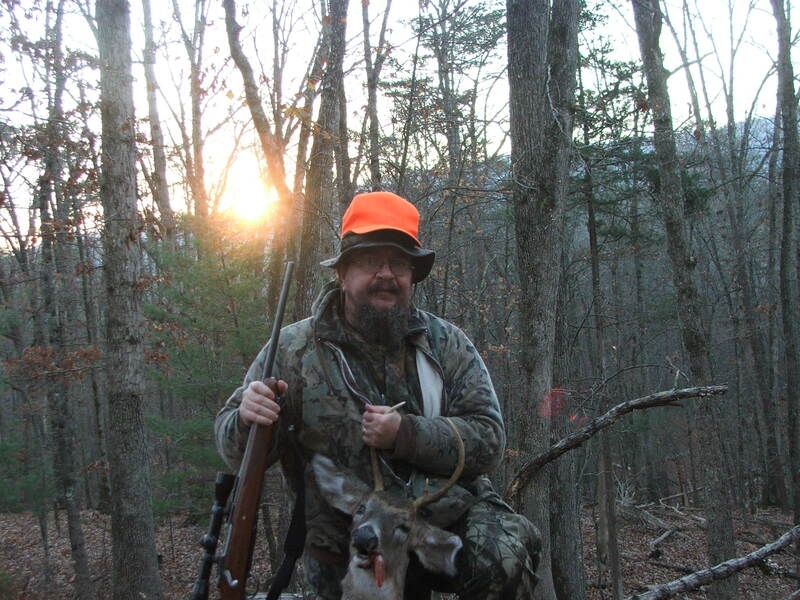 I have never had success on opening day of Archery or General Firearms seasons. This means that today is the earliest I have been blessed to put meat in the freezer this early in the general season! Praise the Lord! This is the best I could do as this is a real selfie using an old camera. Fujifilm S5100. For the hunters, I could not actually see the antlers before getting to the deer. As I got there, I thought I had a spike. As I got closer, I could see it was a 3 pointer. Not really visible in this picture is a small little spike off the base of the antler that makes it a 3 pointer. He dropped where he was hit. Saw it fall through the scope. Ruger M77 chambered at .308win.